- Take cornmeal and wheat flour in a big bowl. Add salt and mix it well. - Add 1 tsp oil and combine all together to form crumbles. - Knead a soft dough by adding lukewarm water gradually. - At last, pour another tsp of oil over dough and knead to form a soft surface. - Let it rest for around 10 mins. 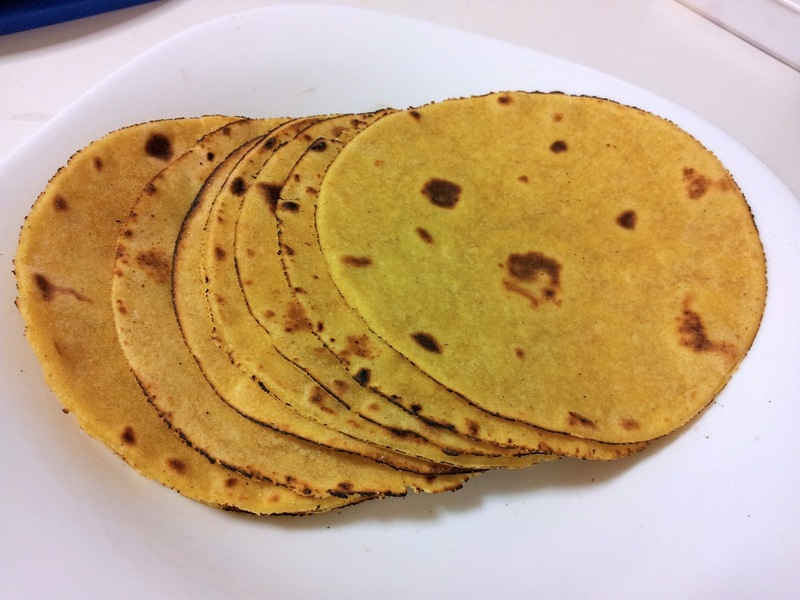 - Roll out a medium-thick chapatis of 6-inches in diameter. - Roast it on flat-griddle and make sure it's 85-90% cooked on both sides. - Cool it down to room temp and store it in air-tight container. - Cover with a damp cloth while making it to keep them soft. - This version (if roasted 100% on both the sides) is called "Makke di Roti"!! !